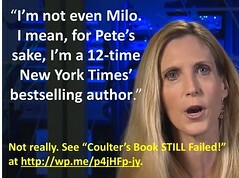 Is Ann Coulter a moron? 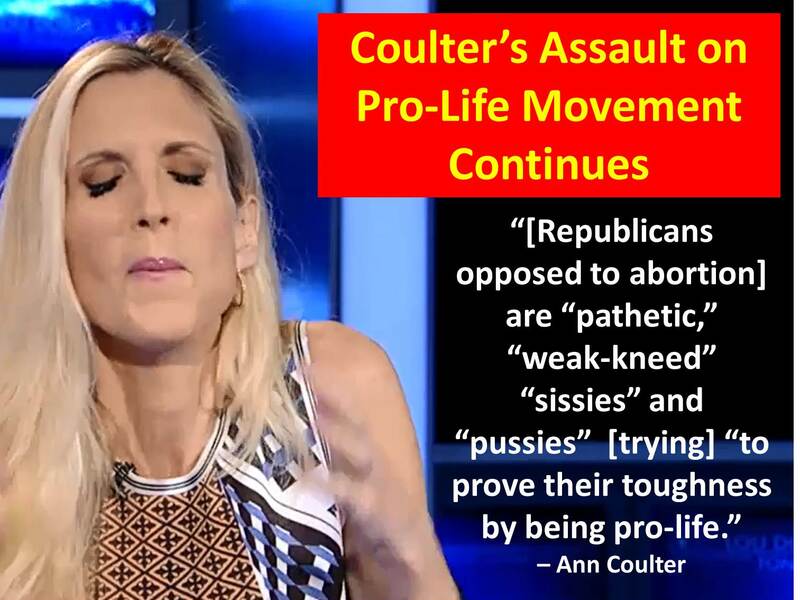 Update: Coulter’s latest presidential messiah – Donald Trump – is wishy-washy on abortion, just like previous candidates Coulter has promoted (from Christie to Romney). Coulter is ever willing and even eager to subordinate moral imperatives for political expediency or to personal advantage. In her world, politics supersedes morality and godliness. Ann Coulter tweet, 7/25/15, 7:27 p.m. (emphasis added). Ann Coulter, Hannity, FNC, 8/13/15. Ann Coulter, How to Talk to a Liberal (if you must), Crown Forum, 2004, pg. 343. 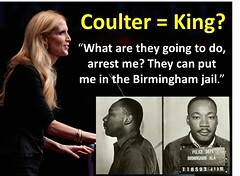 Ann Coulter tweet, 8/16/15, 9:36 a.m.